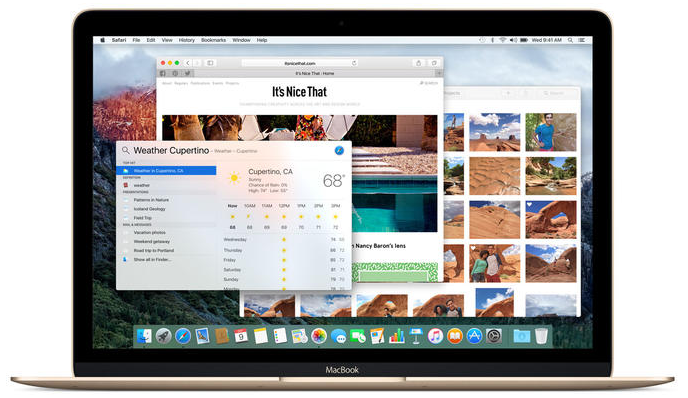 The second major update for Mac OS X 10.11 El Capitan operating system has been officially released by Apple i.e. OS X El Capitan 10.11.2 with Build No. 15C50 as full and final version. All general public users can upgrade / install the latest Final OS X 10.11.2 Update instantly to experience newest value added features and functions. The Direct Download Links of OS X 10.11.2 Setup, Combo, Delta Update .DMG Files are available for free. According to Apple's release note, the all new OS X 10.11.2 Update includes; improvements for stability, compatibility, security, fixes for bugs, iCloud Photos, Wi-Fi networking, Handoff, AirDrop, Bluetooth devices, Mail app, importing photos using a USB cable etc. How to Install OS X 10.11.2 Manually? All Mac device users can navigate to App Store > Software Update option to download official OS X updates directly from Apple's server. If you're running an OS X 10.6.8 Snow Leopard or any latest OS X version on your Mac, then you're eligible to download, install and run OS X El Capitan 10.11.2 using bootable USB or bootable DVD through iTunes.